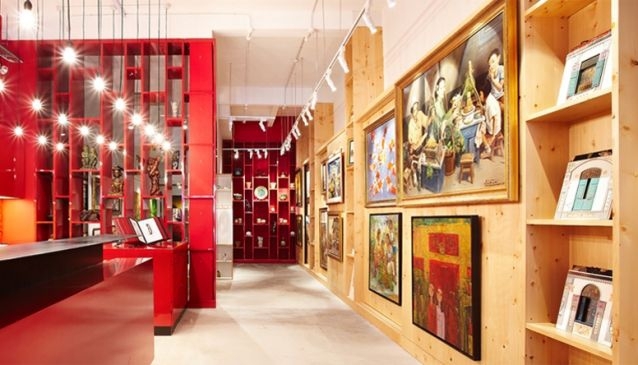 The atmosphere at Eagle's Eye Art Gallery in Clarke Quay is getting lively with its new gallery space spanning across 6000 square feet. The move to a new location with four levels of differentiated gallery spaces, allow more artworks from paintings and sculptures to photographs and ceramics to be displayed. Each art piece also gets its much needed room for enhanced art appreciation. Besides adding art conservation and restoration to its repertoire, the gallery is also proud to be the art consultant and supplier of fine arts to prominent establishments. The gallery hopes to maintain its reputation as a leading avenue for Asian and contemporary art in Asia.